Growing Internally - Excellent Cultures Inc.
Toyota executives Ed Laukes and Jim Mooney have had major transitions happening, and culture changes over the last year. They sit down to chat with us about growing strong inside the organization by getting vulnerable and honest feedback from the team. Edward Laukes | Group Vice President – Toyota Division Marketing | Toyota Motor North America. 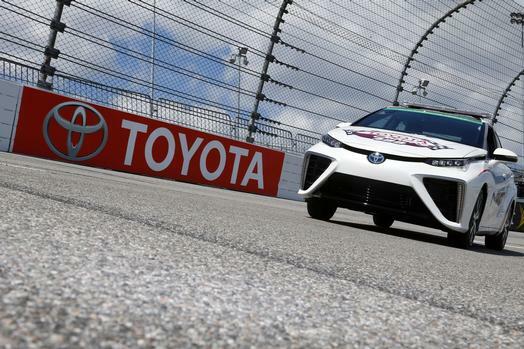 Ed Laukes is Group Vice President of Toyota Division Marketing, Toyota North America and is a member of Toyota Racing Development board of directors. Laukes is responsible for managing advertising for all Toyota cars, trucks and sport utility vehicles. He works with a number of Toyota’s advertising agencies, including Saatchi & Saatchi; Hispanic agency, Conill Advertising; African American agency, Burrell Communications and Asian agency, InterTrend. Laukes also manages motorsports public relations and marketing operations, which include strategy, research, sponsorship, advertising and merchandising activation as well as parts, service and accessory sales & marketing. Since joining Toyota in 1989, Laukes has held various positions in both the Lexus and Toyota divisions. He first served as district service and parts manager for the Lexus Central Area and held a variety of additional management positions in the field. Subsequently, he held the positions of sales and production planning manager and sales administration manager at TMS headquarters in Torrance, Calif. In 1998, Laukes was promoted to assistant general manager and later became general manager for the Lexus Southern Area. In this role, he was responsible for directing sales, service, parts, marketing and customer relations activities for the area. 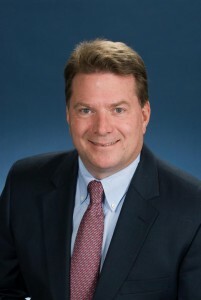 Most recently, Laukes served as general manager for the Toyota New York Region. Prior to joining Lexus, Laukes worked with Buick and American Honda. Laukes earned a bachelor’s degree from DePaul University in Chicago, Ill.
Jim Mooney is a 26-year executive of Toyota Motor Sales, USA, Inc., a sales and marketing subsidiary of Toyota Motor Corporation. His current role is Corporate Manager of Product and Sales Engagement. In this role, Jim directs national and regional teams in providing world class product and sales training to over 60,000 dealership team members. This role includes developing a 24/7 digital dealer education platform that offers mobile delivery and education to over 1,200 Toyota and Scion dealerships. Previously, Mooney was Corporate Manager for the Strategic Incentives business technology initiative for Toyota, Lexus and Scion brands and Corporate Manager, Customer Relations for Toyota Motor Sales, U.S.A. In both of these positions, Mooney directed a business portfolio of $30+ million. In addition to delivering two versions of a new Incentive System to promote a higher level of analytical insights for Toyota sales, marketing, finance/accounting and financial services entities, Jim’s leadership in Customer Relationship Management technology initiatives led to a contact center technology renovation for Toyota, Scion and Lexus; evolution of the company customer database; and enhancement of contact center tools. He also engineered several world class initiatives as part of this role in leading the Toyota and Scion Contact Center strategy, training, recruiting and workforce operations. From 2001 – 2005, Mooney was corporate manager for Toyota’s human resources consulting and labor relations division. He was responsible for day-to-day associate-relations issues and implementing “Toyota at Work” for over 6,000 salaried and production associates at more than 30 locations throughout the United States and Mexico. In addition, he provided human resources oversight for 1,800 contingent workers and contractors. In 1989, Mooney began his career with Toyota in New Business Development and Business Planning. Since then, he has served as export logistics research and planning manager; national manager, Office of the CEO; national customer loyalty manager; national manager, e-Business where he led the development and launch of the first virtual private dealer network application in the automotive industry (Dealer Daily). Prior to joining Toyota, Mooney worked in sales, marketing research and product strategy for the Geneva Companies, Nissan, Xerox and Bueno Foods. Mooney attended Washington State University, where he earned a bachelor’s degree in marketing. He also earned a master’s degree in business administration at The Anderson School, University of New Mexico, Albuquerque, and later in his career was sponsored by Toyota to attend the prestigious UCLA Anderson School Executive Program. 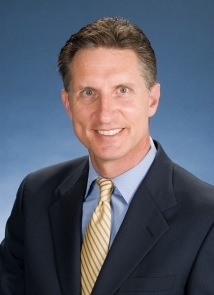 While representing Toyota’s interests, Mooney has acted as director for the Foreign Trade Association of Southern California and is on the Board of Advisors for the Washington State University College of Business, The Society of Customer Affairs Professionals Automotive Industry Network, and donates time to support Lupus L.A., Lupus Foundation of America and Alliance for Lupus Research. Jim enjoys spending free time at home with his wife and family in Southern California. His outdoor interests include road bicycling, beach and mountain sports.